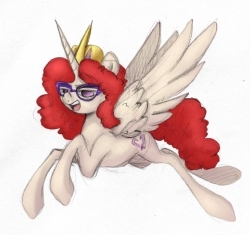 After literal millenia of the same monotonous cycle, Celestia wants to retire from life. 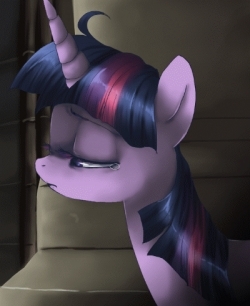 Unfortunately for her, dying as an alicorn isn't as easy as one might think. 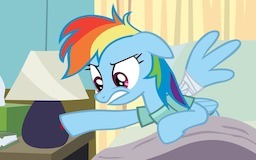 While in the Ponyville Hospital for the fourteenth time, Rainbow Dash gets an interesting message from a certain lascivious lamp. 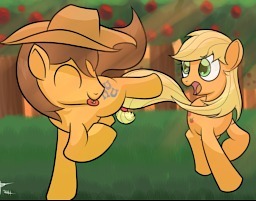 What happens when you mix a rambunctious filly with a bottle of Applejack Daniels? Fun, that's what! 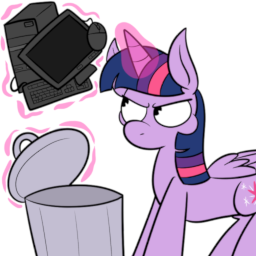 When a mysterious flash drive is given to Twilight by her dear friend Pinkie Pie, she can't help but investigate. Unfortunately, that quickly leads to an addiction that almost manages to dominate her life. When Twilight goes to far with a prank that ends the life of one of her closest friends, how will she cope with a loss of her own doing? 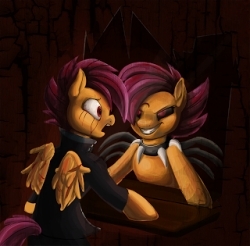 Scootaloo hides from her own actions, but she can't hide from herself. 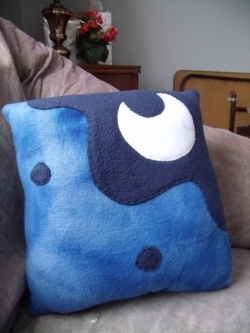 Luna fulfills her life ambition of becoming a pillow. 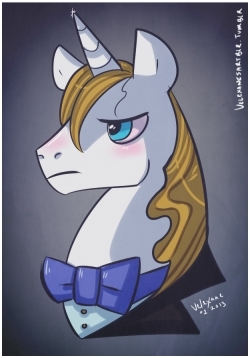 When Prince Blueblood receives an odd letter from an inebriated Princess Celestia, he naturally writes a response. 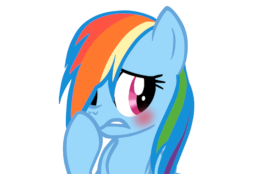 Rainbow Dash accidentally falls down the stairway to her cloud house, giving her a nice ringer and a small amount of shame. Unfortunately, there are no witnesses, and she has a few errands she needs to fulfill. A collection of short stories involving Twilight's studies of various mystically magical artifacts. Walter White shows up at the Golden Oaks library door with a message for Rainbow Dash. 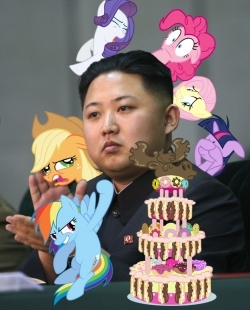 Kim Jong Un's birthday is at hand, and there's only one thing the holy overlord wants for his gift. Celestia is dissatisfied with her student's current performance, so she finds a suitable replacement. 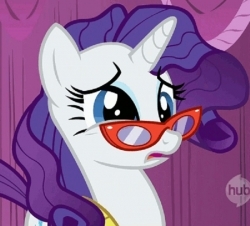 Rarity has always been driven to complete her works. Fortunately, she's never had to do it alone. A stallion finds a mare and they fall in love. To the stallion, Fate's hand led to the love of his life. 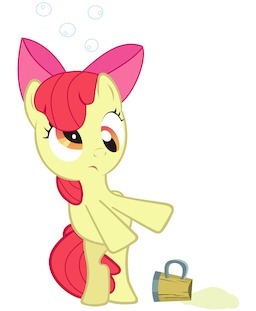 To the mare, it was simple planning.